Mountain Fun Climbing Gym is the place to visit if your child wants a Real Adventure Party! Located in Wallingford Connecticut, Mountain Fun Climbing Gym provides a safe and educational environment where your party guests will enjoy being outfitted securely and set for a great climbing time. You will be provided your own party room beyond the climbing session, and the Birthday child will receive a special gift. 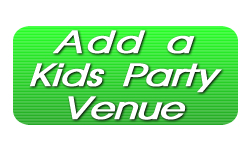 Call or visit the website for more information and remember to book your party well in advance at Mountain Fun Climbing Gym.